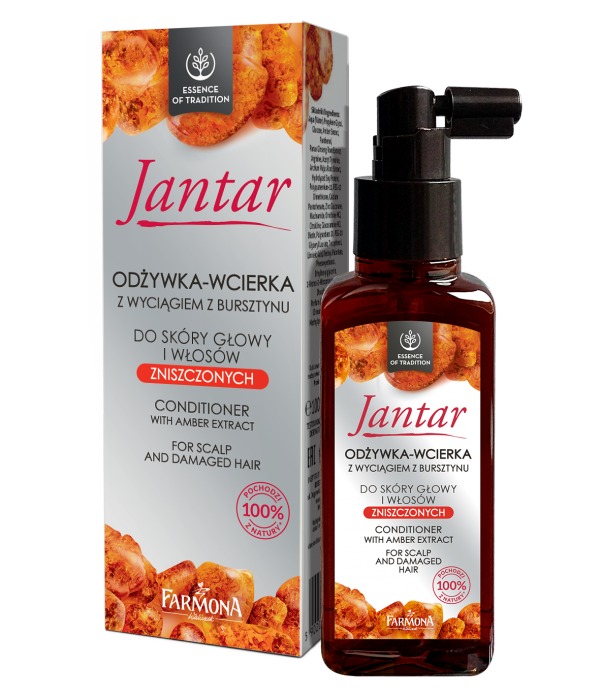 The recipe of this conditioner provides for most essential needs of thin, frail, delicate hair and hair with a tendency to oiliness. It contains biologically active substances that stimulate hair growth: Trichogen®, Polyplant Hair®, biologically active amber extract as well as vitamins A , E , F, and D-Panthenol. 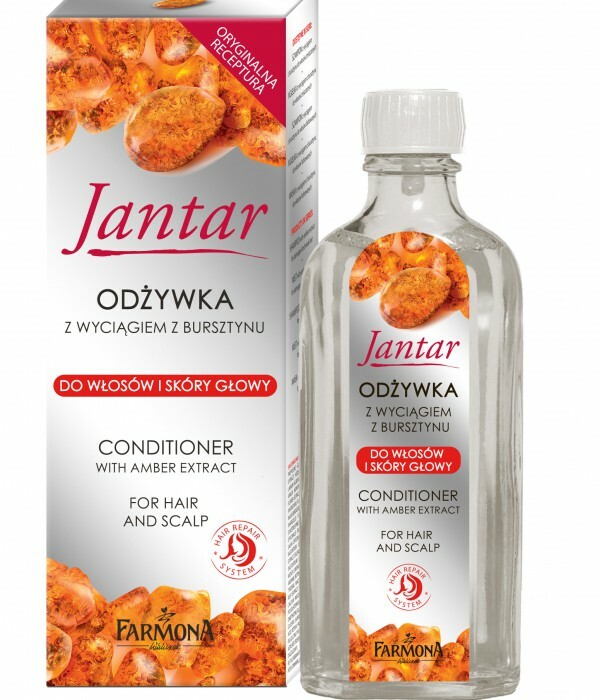 Conditioner Jantar inhibits hair loss, stimulates their growth and nutrition. It contains ingredients which are necessary for the proper conduct of skin’s physiological processes, its nutrition and regeneration. 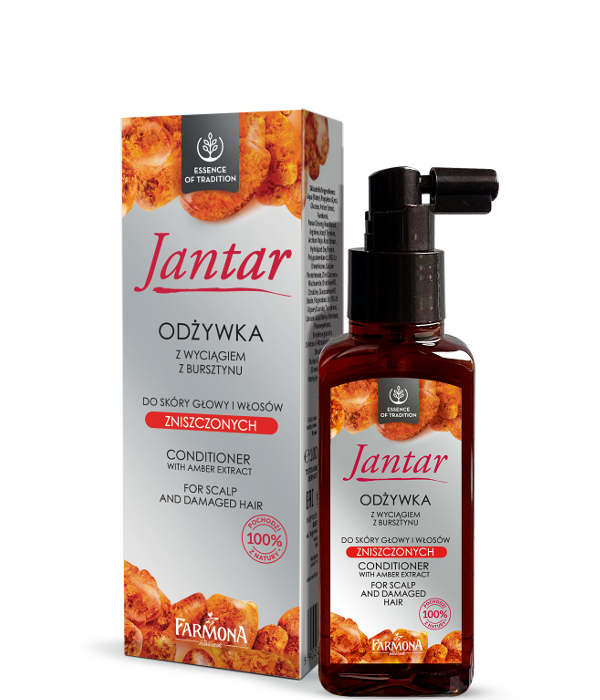 Used regularly, the conditioner improves metabolism and oxygenation of hair roots, regenerates and soothes irritation. Leaves hair thicker, shiny and resistant to damage. Conditioner strengthens the hair structure and protects it from harmful environmental influences and the sun. Rub into the scalp daily for 3 weeks, after a few days resume treatment. Do not rinse. Trichogen® , Polyplant Hair® , the biologically active amber extract and vitamins A, E, F and D-Panthenol.